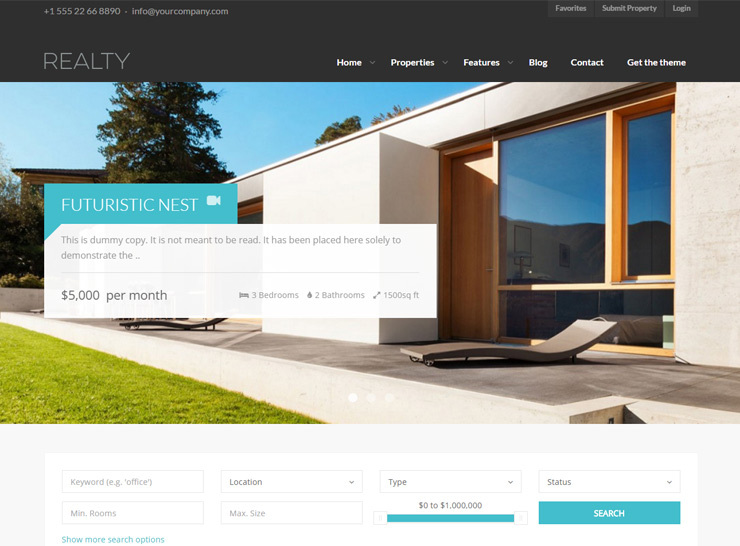 This is a comprehensive list of some of the latest and best real estate WordPress themes most of which are loaded with features to help you build your own real estate or property rental website. 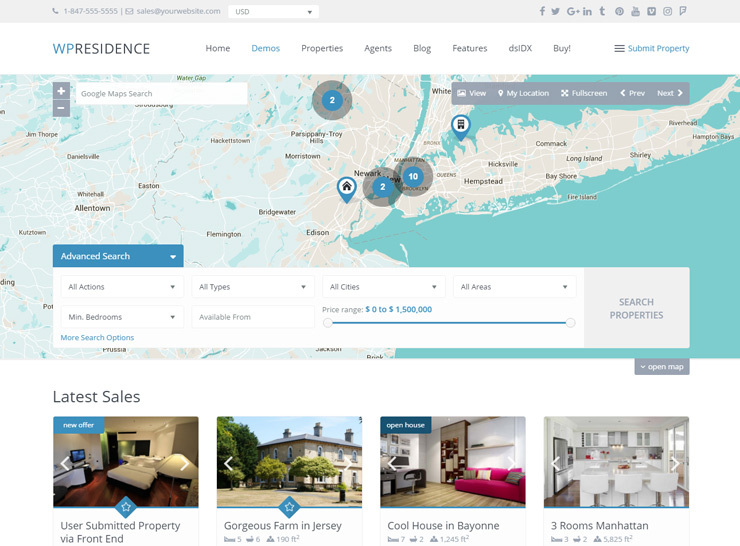 These themes come with advanced search functionality, custom property filters and views, property galleries and sliders, user submitted listings, and multiple listing views among many other relevant features. 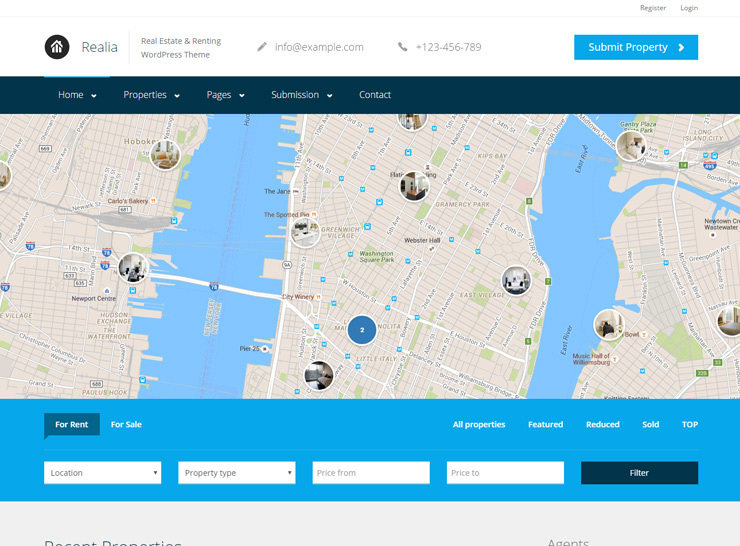 Most of the themes in this list are custom developed for the real estate industry and come with Google Maps integration, advanced property search and sorting, and built in mechanisms for potential customers to get in touch with you. 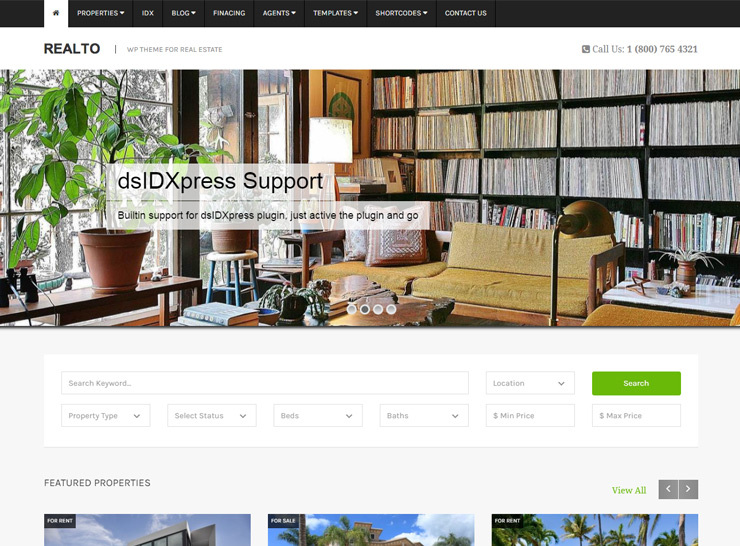 All these real estate themes require a self-hosted WordPress site. 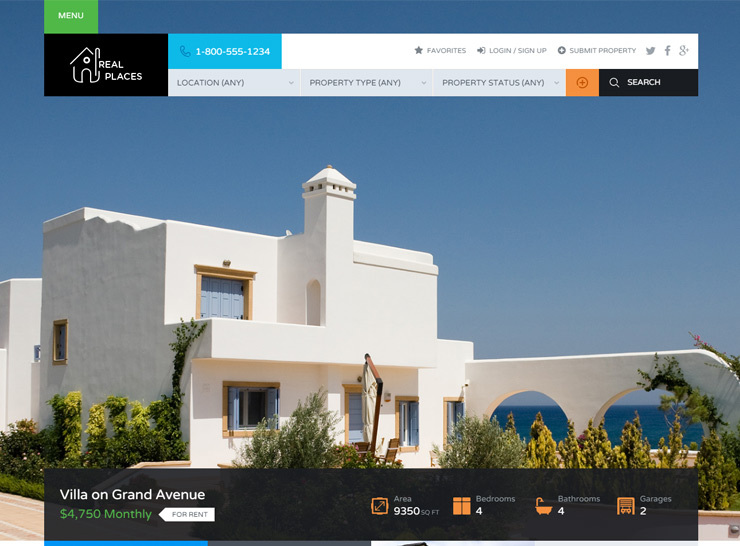 Real Places is a powerhouse when it comes to real estate WordPress themes. It has a purpose oriented design and can fulfill various requirements by allowing for customization and personalization. 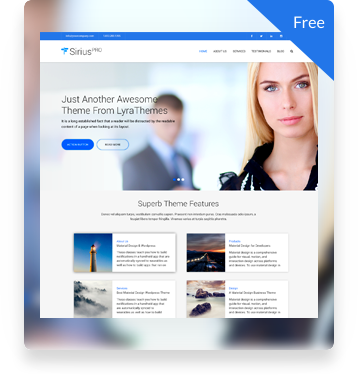 The theme demo shows three possible variations of the design and usage which should give you a great idea of the capabilities of the theme and the various ways in which it can be used. It provides a great search and filter feature where you can pick and choose which criteria to allow in the search form. The level of customization is extreme, where you can even choose to display multiple location fields to allow for drilling down from state to city to area. Price related fields can also be specified with your own price ranges. The search results page layout can be customized and controlled and there are three different variations for the property detail page. The home page features a drag and drop builder, so you can create and arrange the home page blocks with ease. The Visual Composer can be used to add custom content as well, thus fully allowing you to customize the site and make it your own. A unique feature of this theme is the ability to create a “view” – so you can create a page containing any number of properties having any layout and those properties can be of any type, status, location and feature or any combination of these! This can be useful if you want to create a “sheet” or display that shows only some of your handpicked properties to showcase to a client or a special group of customers. The theme is also special because it not only gives you, the admin, complete control over layout and data but also the visitor and user – who can save properties to their favorites, submit properties, print property information, contact the agent directly, and share on social media. 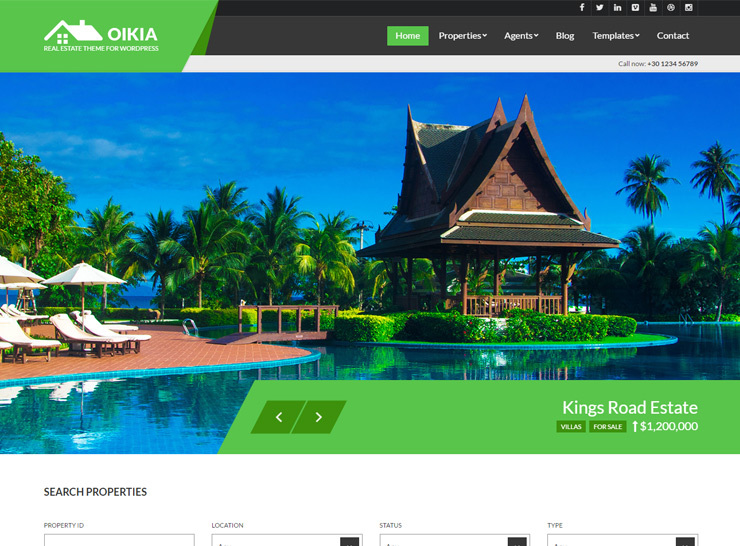 Oikia is a beautiful real estate WordPress theme with striking colors and a stunning design. 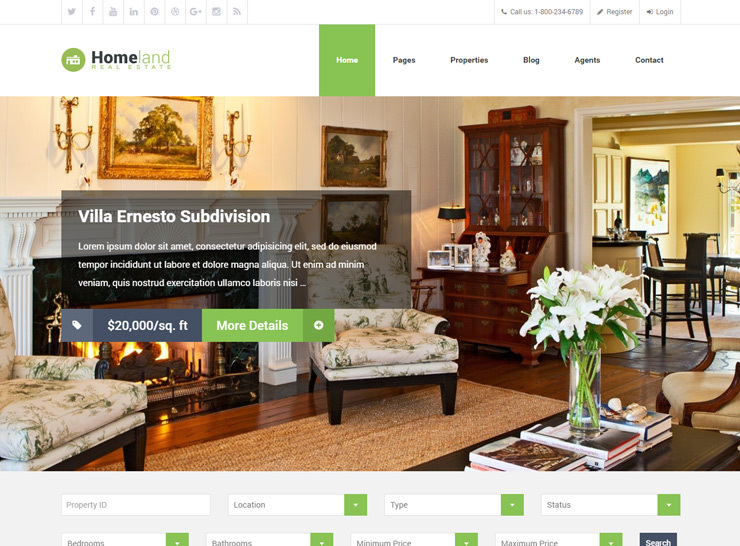 The home page opens with a large, full width full screen slider that can be used to showcase some of the featured listings. The theme is professionally graphically designed and very carefully crafted, with special attention paid to the display of properties and providing a useful and feature-rich property search. 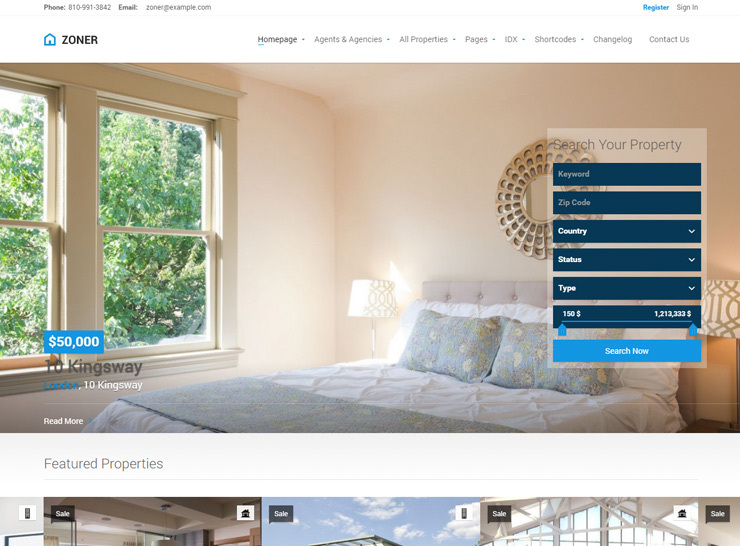 The home page has special spots for a premium or featured listing, along with a place to list the real estate agents. Oikia ships with multiple views for propery and agent pages, shortcodes and custom widgets, as well as a drag and drop home page builder. With the dynamic map and filtering functionality, users are sure to find the property they are searching for with ease. Multiple color schemes allow you to match the website to your brand and the SEO optimized pages will help you rank higher on search engines for your targeted keywords. 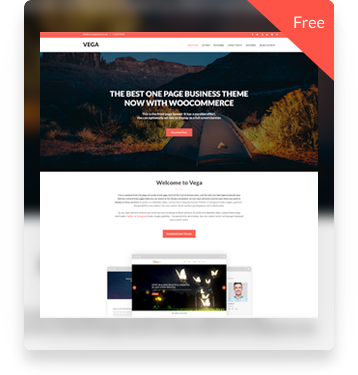 The distinct and incredibly refined design of the theme helps you create a website that comes off as trustworthy and efficient and is sure to enhance your business image. 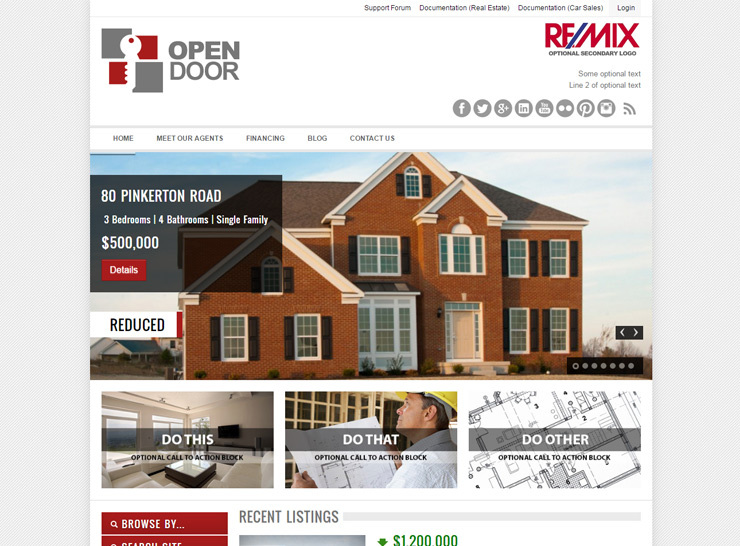 Oikia is your one-stop featured-filled solution to a great looking, technically advanced real estate listings website. In a Real Estate Business website, images mean a lot. The audience needs to be able to gauge the space and see the details of the design and functionality. This calls for a theme that is straightforward, clean and super flexible. Images must be organized to convey in proper sequence all the parts of the property being exhibited. Realto is just the right WordPress theme for an image laden website. Essential features include a 100% Responsive layout, theme options panel and more importantly SEO optimization to increase your website’s rankings in search engines. With Realto show customers exactly what they need to see in a streamlined uncluttered view. 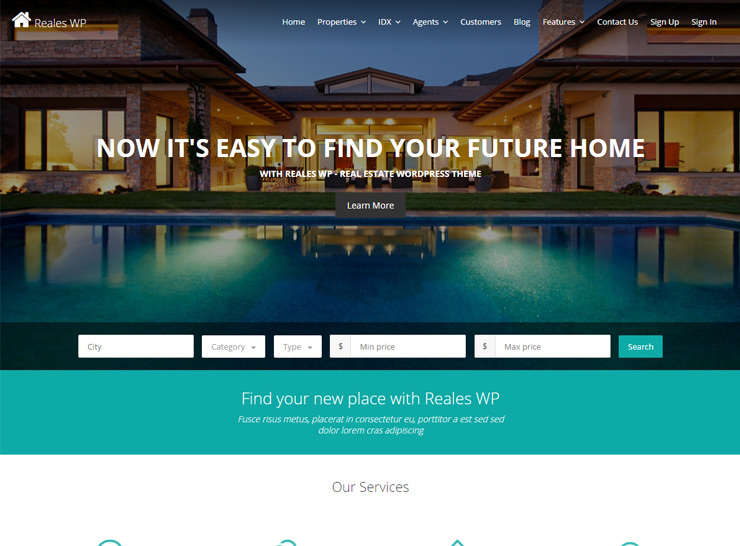 Gorgeous, beautiful properties never looked more cozy and welcoming than with RealHomes WordPress theme. Real estate websites need to engage an audience with a clear view of the property in organized panels to immerse them in the space. Customers base their decision on these images so it is vital to make layouts as compelling and inviting as possible with an easy to use interface. 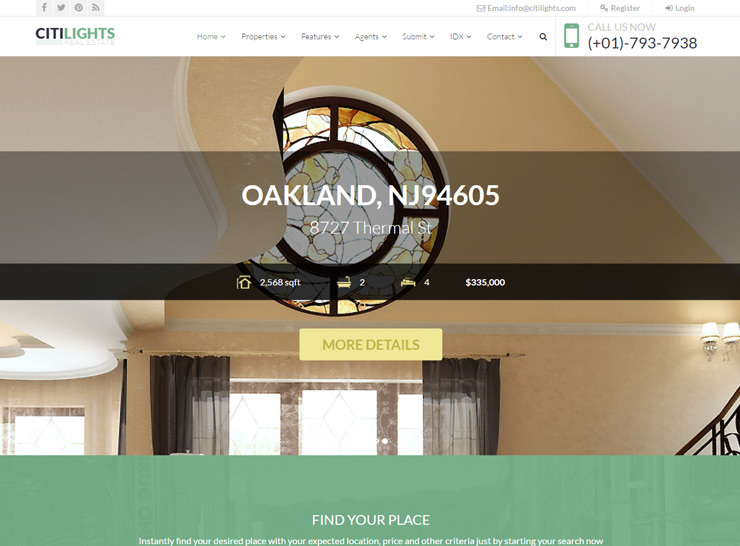 RealHomes features include Multiple Gallery Templates, Comprehensive yet easy to use customizer settings, easy to use meta boxes and floor plans. With these features, navigation is easy. RealHome is the number one real estate theme out there. With RealHome your customers will find that looking for the right property in your website is an easy task. Zoner offers a unique functionality that can’t be breached. 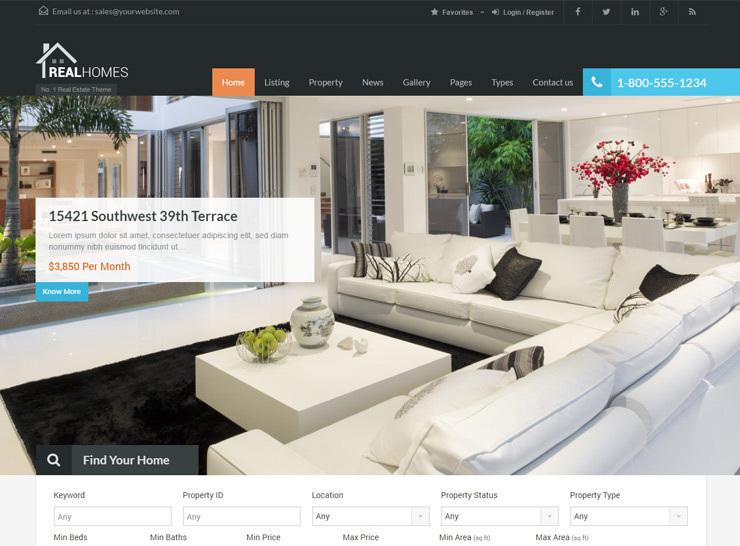 The first of its kind in a real estate WordPress theme, Zoner is the first template that brings the Open Street Map. This dynamic feature is vital in the real estate business so customers can visualize the exact point the property is located at. Added to this is the traditional blueprint of a real estate theme that offers crisp and streamlined layouts to showcase spaces in the best and most compelling angle. Essential features include 100% responsiveness. Built on Bootstrap 3.0 framework, each element is 100% responsive and guarantees perfect display on all platforms and devices. It also has a Page builder which makes building a website fast and easy. User-friendly with unique functionality, Zoner is the great choice for your real estate website. 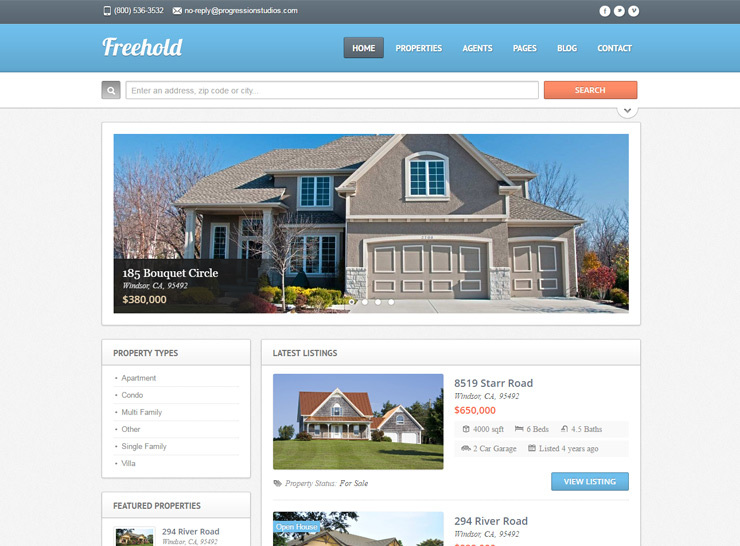 Exhibit your real estate in an elegant design with Hometown WordPress theme. Its clean fresh look makes sure that your images are compelling and feature the details and functionality of each property. Blowing up your pictures in a panorama to exhibit the entire property is easy with its streamlined layout. Hometown features include a robust theme option and custom meta and a page builder that helps you build your website in fast, easy steps. Also included is a functional favorite properties so customers can keep track of properties they scanned. Hometown has a host of other features useful to both owner and customer. 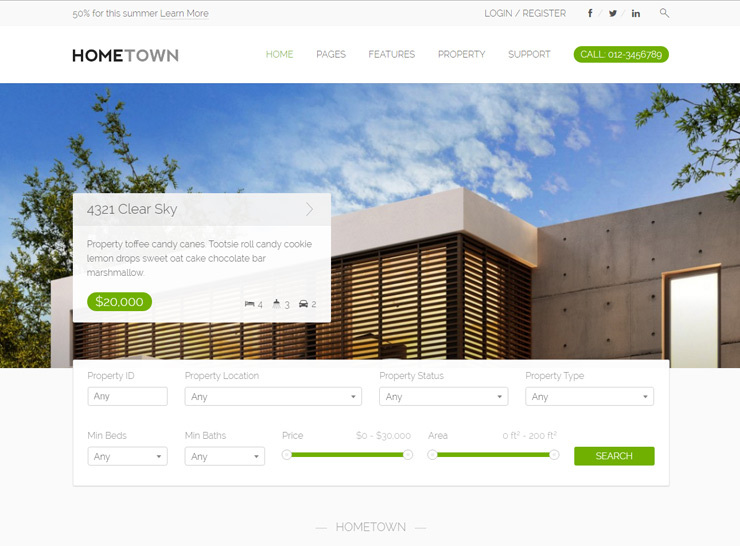 Give your audience the premium experience with Hometown real estate WordPress theme. 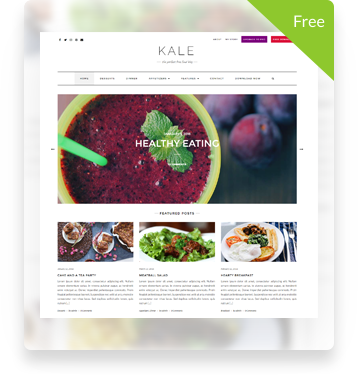 For a view of spaces in distinctive angles the Real Spaces WordPress theme offers a clear-cut and fresh layout of your images. Give your audience an immersive experience as each panel exhibits pictures that help them gauge and feel the space. RealSpace is a powerful theme built exactly for this purpose. 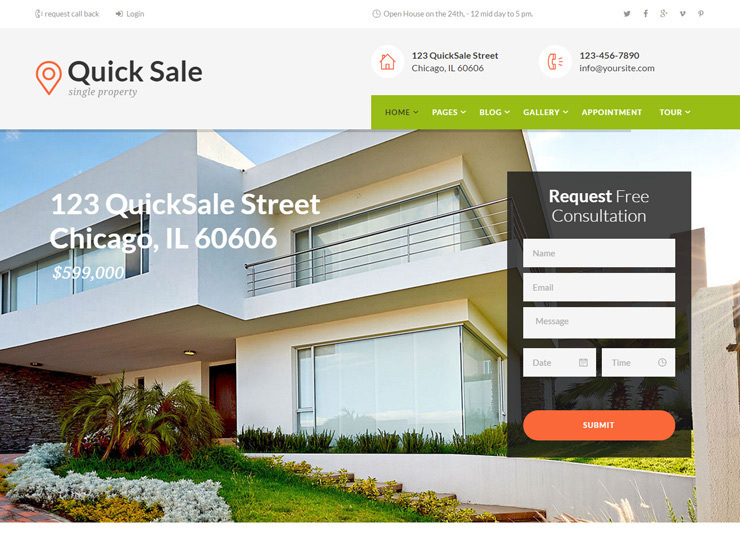 It is crafted and developed for real estate, estate agents websites and also offers versatility for a business or corporate website. 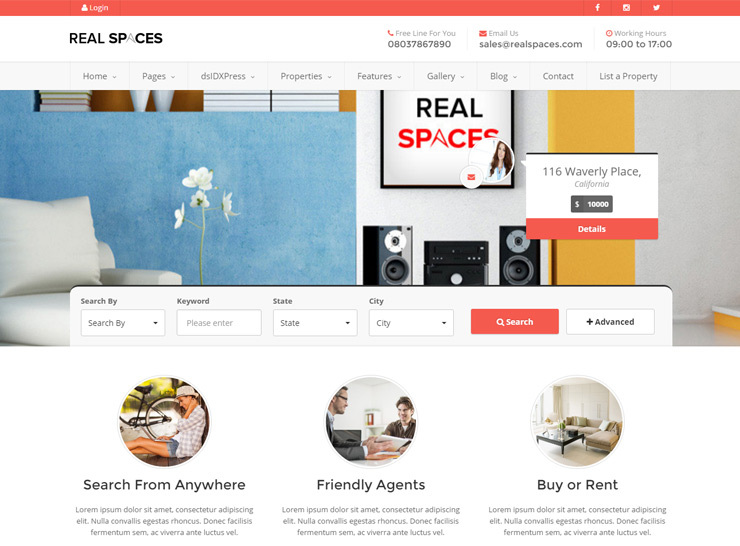 Core features of Real Spaces include front end property submission, agent profile management, feature rich theme options, easy property management and multiple type user accounts. Organize data and images with these features to make sure your customer gets first-rate browsing experience with RealSpaces.